Spending the weekend at the coast in late Septermber I had prepared myself for stormy cold weather. I packed a rain coat, boots and a few jumpers. When the weather for Saturday ended up sunny and pretty warm, this was the only thing I had. 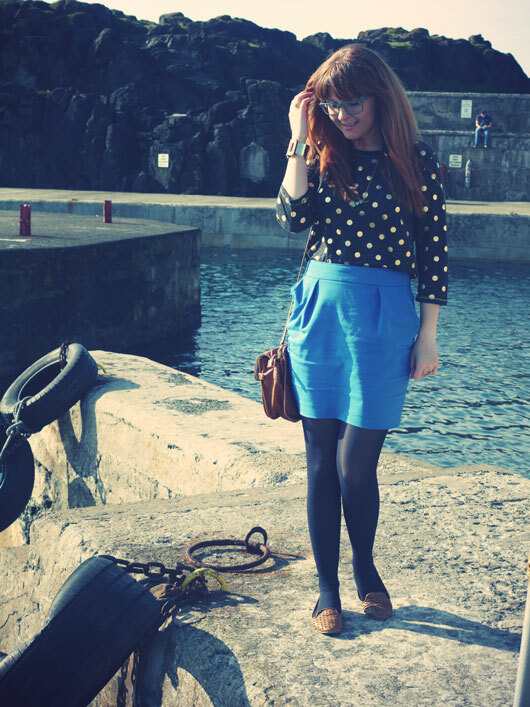 I love the gold guilded spots on this otherwise simple jersey top and I can see it being a staple for all of Autumn. 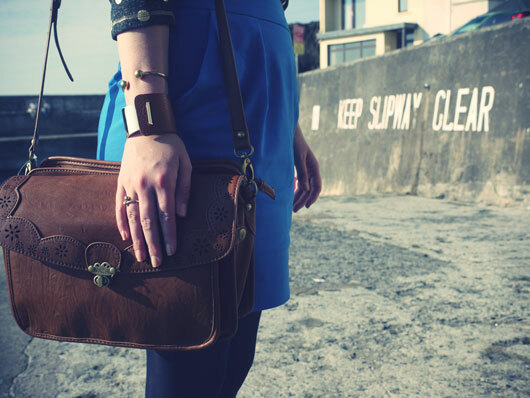 This amazing satchel was sent to me by Nica and it hasnt left my side since the day I got it. Satchels are definitely my bag of choice and this one is functional as well as oh so pretty! It has a million and one compartments and zippy bits to keep all your stuff which is awesome as it means everything I need is easily at hand & organised in my bag. I just love the cute shape and clasp on the front too. 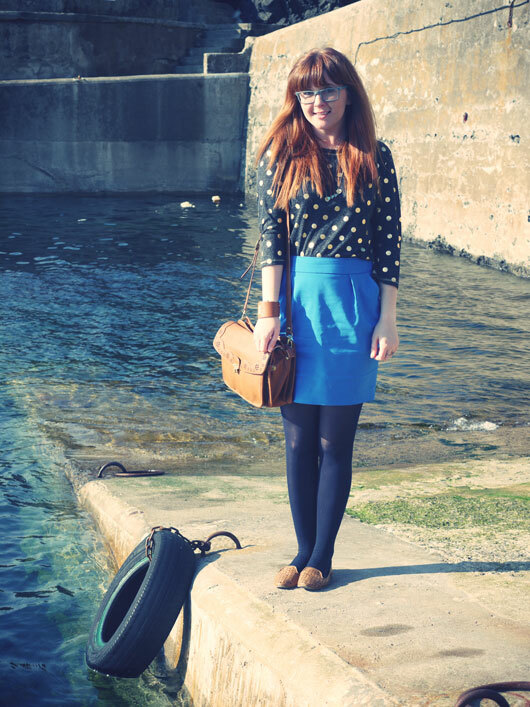 Top: M&S, Skirt: Zara, Loafers: Primark, Satchel c/o Nica, Necklace c/o Eclectic Eccentricity, Leather cuff c/o Argento. I was given a Nica bag for my birthday, I must say it's the prettiest I've ever had! My favourite bag is a Nica one! I'm jealous of yours because mine has just about fallen apart. I did however carry library books and work notes and everything in it for 2 years. I am now saving up to buy another satchel from them! Yours is lovely, it's the laced leather that just makes it. Lovely outfit! The bag is totally gorgeous! 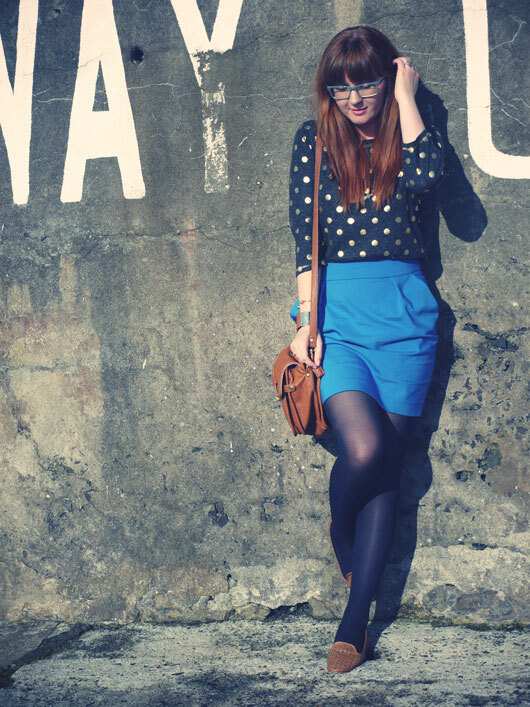 This outfit is lovely, cosy but still cute!